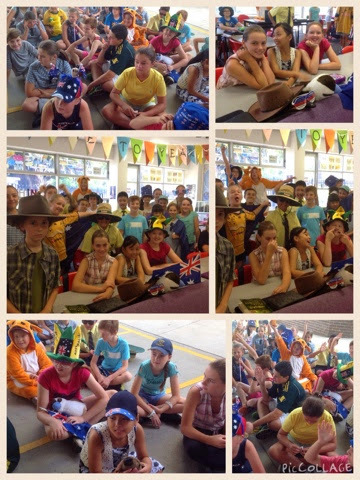 Today Year Six launched their PBL...Aussie, Aussie, Aussie...Who are you? 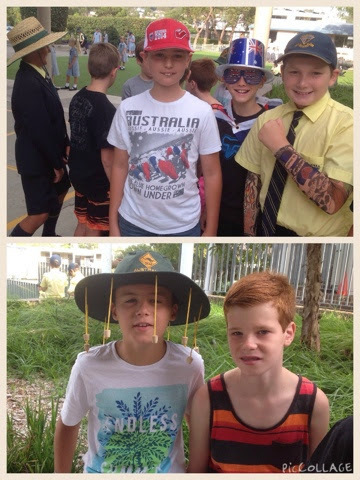 The students came dressed as their impression of "an Aussie". In our English lesson, we studied the piece of writing called Common Ground. 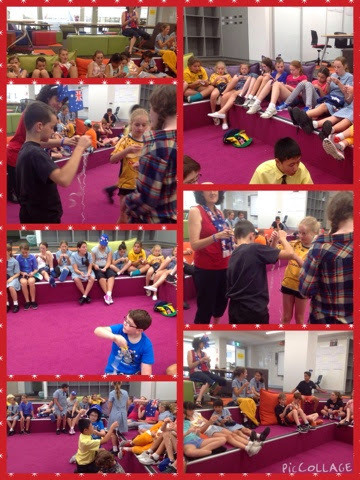 It was an excellent piece to think through..."How do we know an Australian?" Bruce Woodley the composer of this piece talked about an immigrant whom he met that told him to be an Australian is to leave ancient hatred behind and meet a friend on common ground. He also wrote about an Aussie with a sense of humour, an Aussie who shows mateship and an Aussie who helps and supports another. 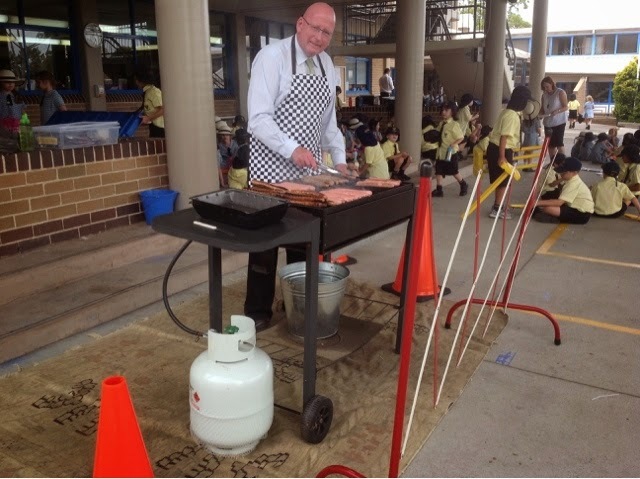 Mr Coote cooked our BBQ and we enjoyed our sausage sizzle. 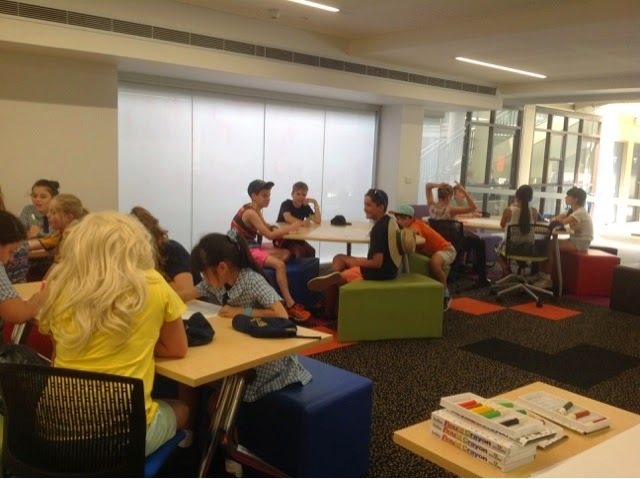 We spent the afternoon in The Hub. We started by eating Minties. Of course we had a competition. Who could tear the wrapper into the longest strip? 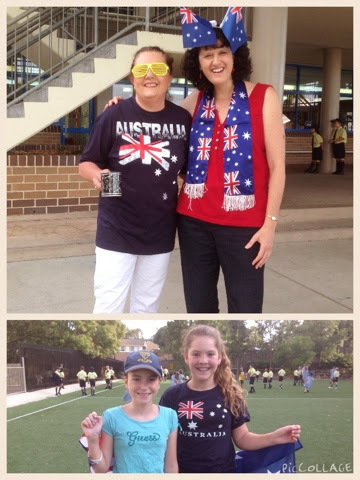 A discussion followed...What Aussie outfit did you wear? Why did you wear that outfit? What if you lived 100 years ago? What would you have worn? What do you imagine you might wear if you were alive in 100 years? 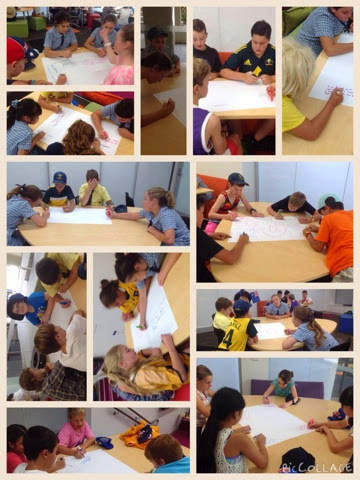 The song "I am Australian" was played and students were asked to write down who are the Australians? 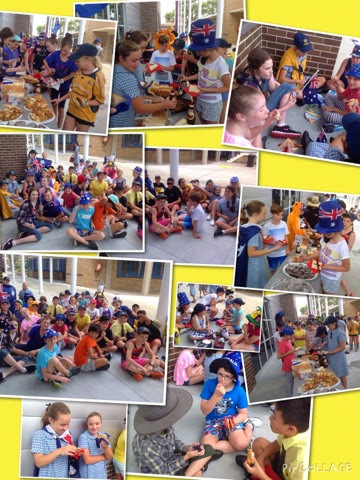 Students thought about...How have we become the Australian we are today? We will investigate this further throughout the term. We look forward to a fabulous adventure of learning.